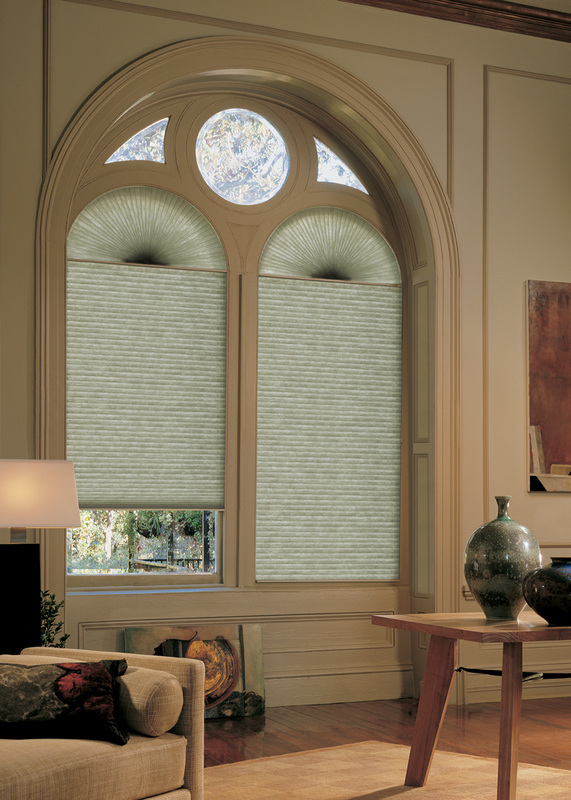 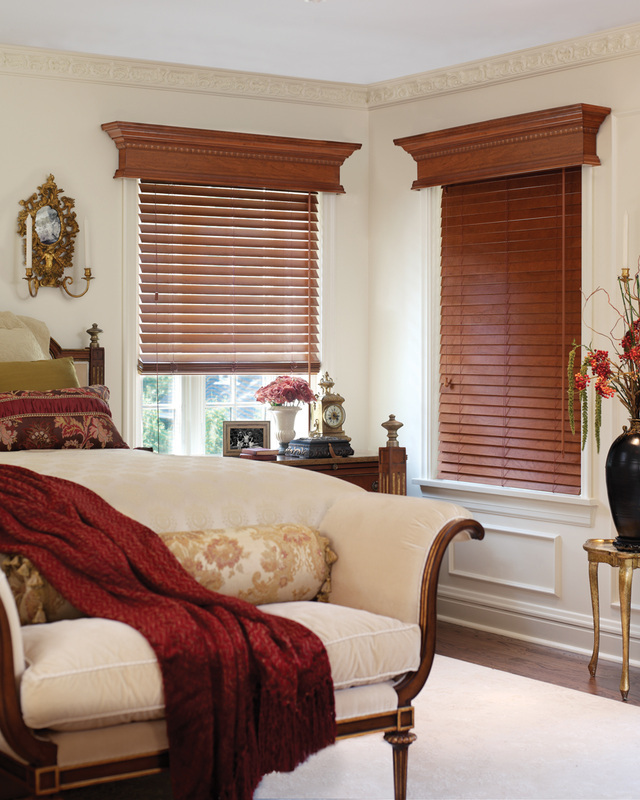 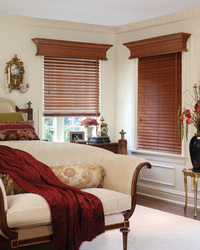 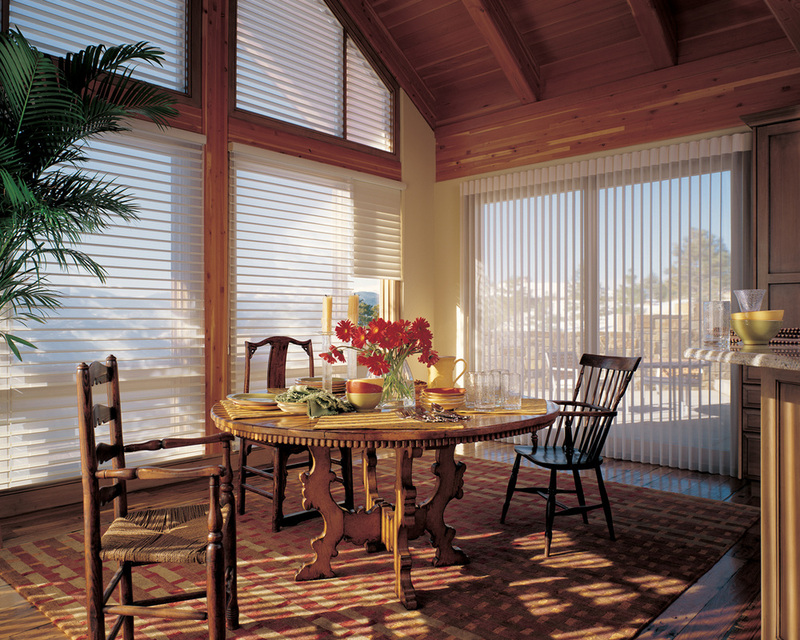 Today, window fashions are so much more than fashionable. 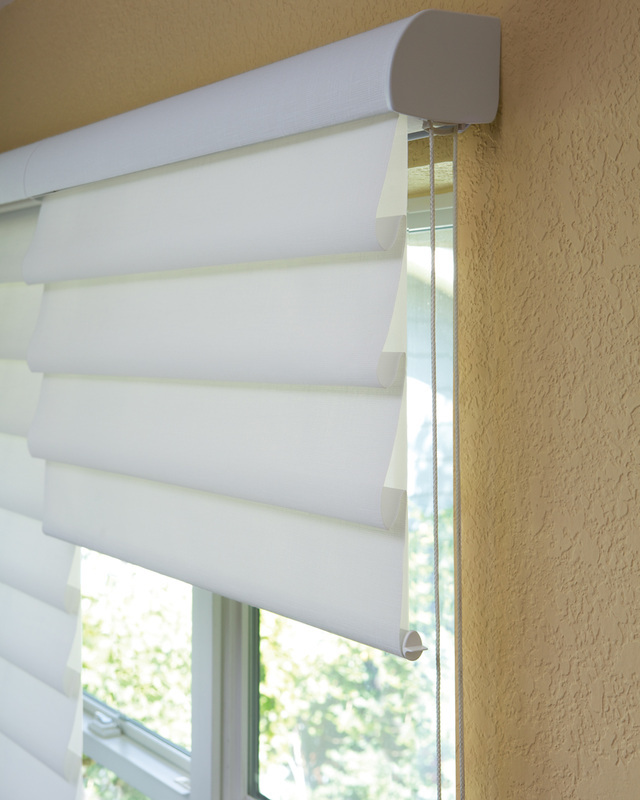 They are tools to save energy resources, valves to control the flow of energy, and important contributors to reducing energy use, utility costs and greenhouse gas emissions. 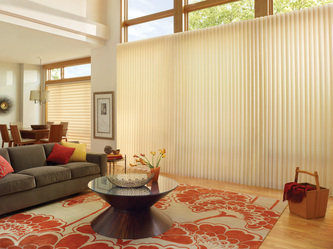 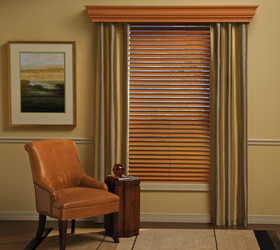 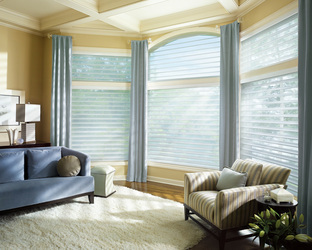 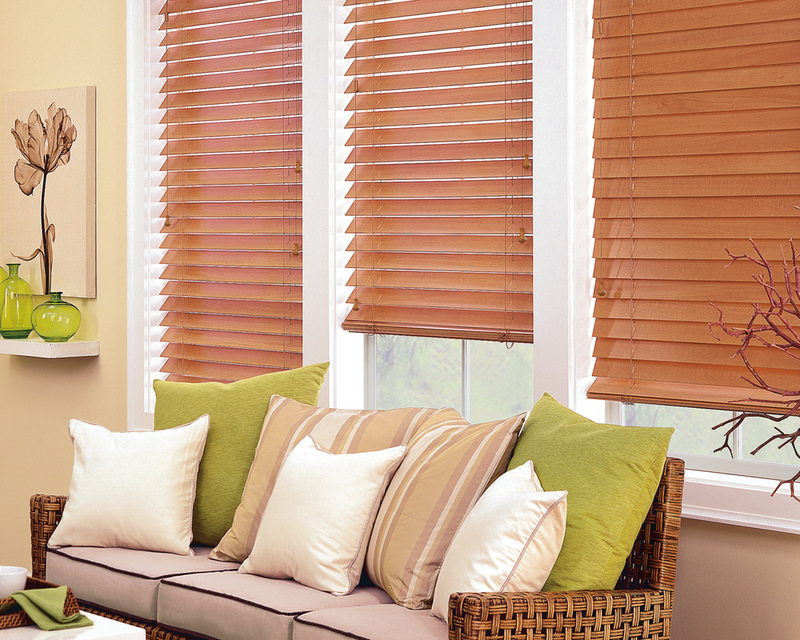 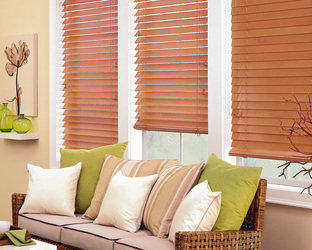 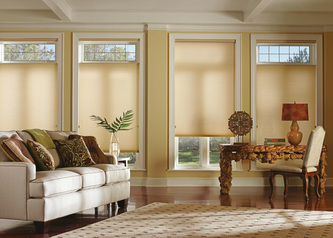 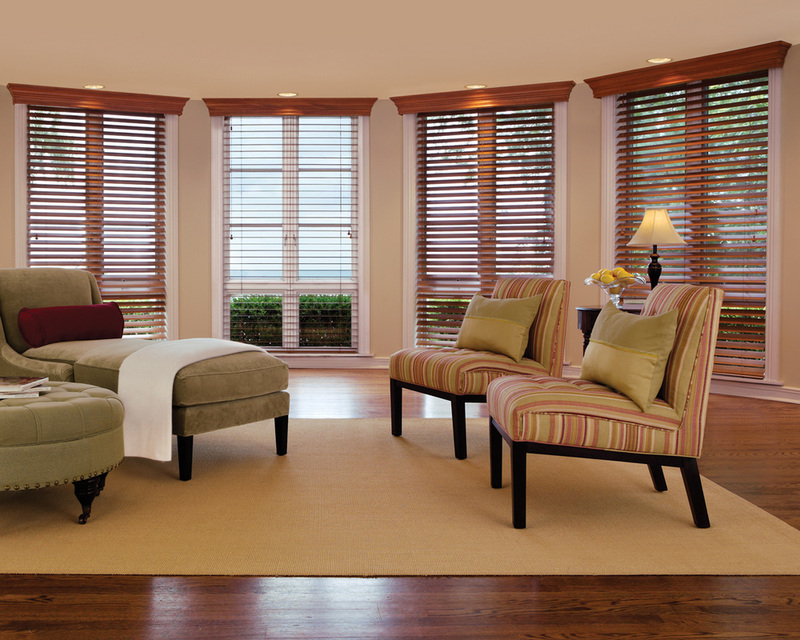 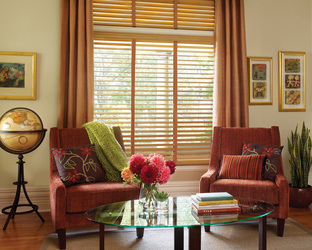 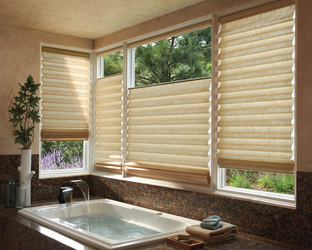 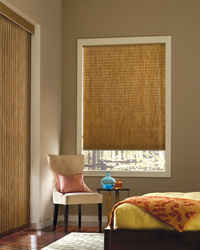 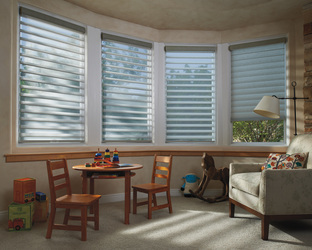 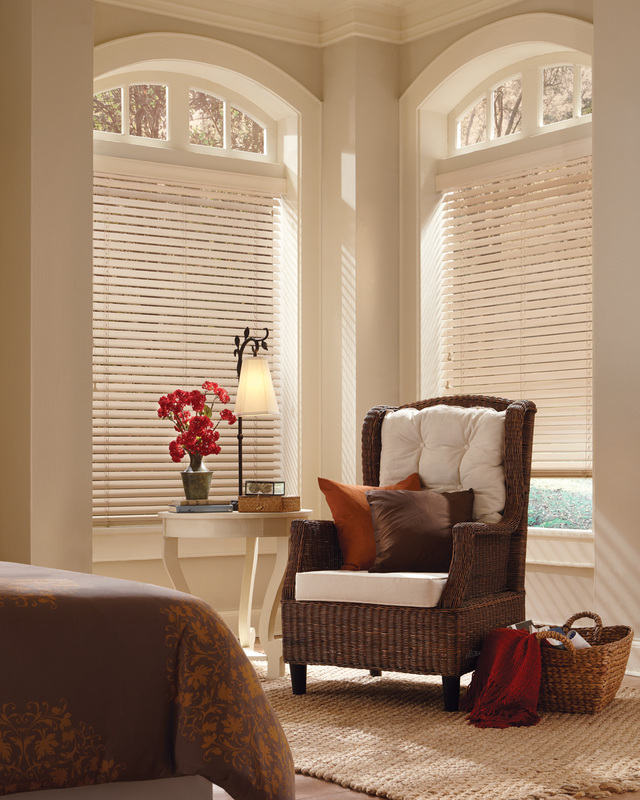 In fact, Hunter Douglas window fashions are one of the easiest ways to “go green,” while saving money in the process! 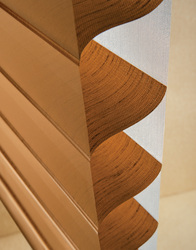 Wood Blinds just as they are meant to be, made from the finest quality wood blinds anywhere. 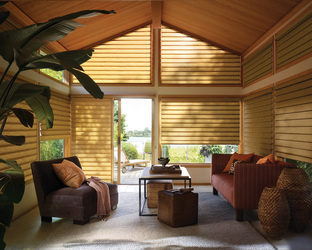 These natural, organic materials create a warm and intimate mood. These blinds come in four slat sizes in a striking range of wood species and finishes, from rustic to the elegance of fine furniture. 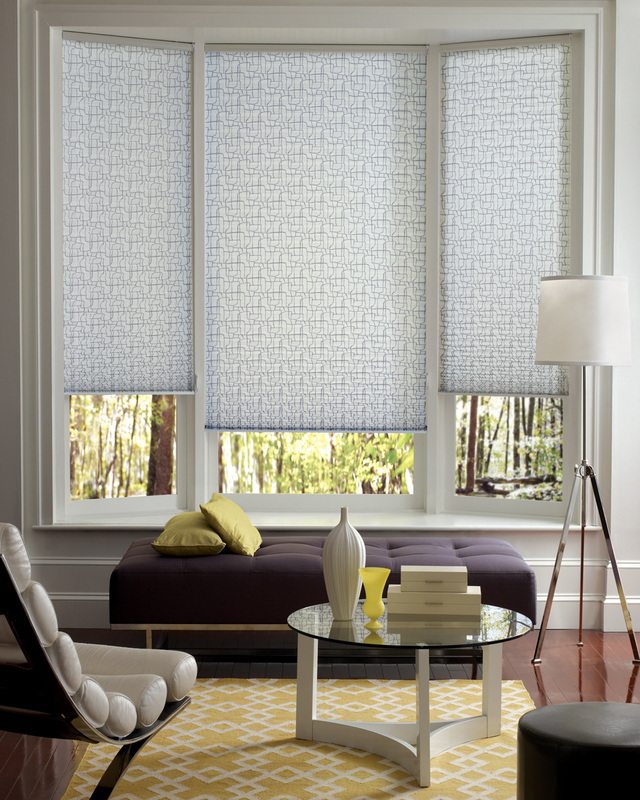 Precision engineered for a clean uncluttered appearance, Modern Roman Shades offer contemporary fabrics, colors and textures in three fold sizes, and three opacity options. Shades either roll up or stack while innovative lifting systems and design options make it possible to cover almost any window. 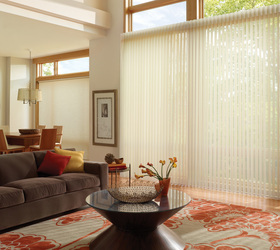 Fabrics are 100% polyester for lasting beauty and increased energy efficiency. 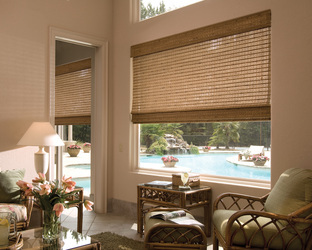 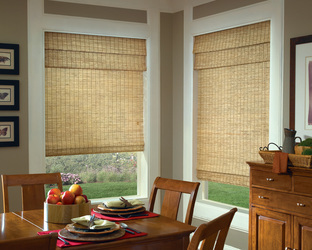 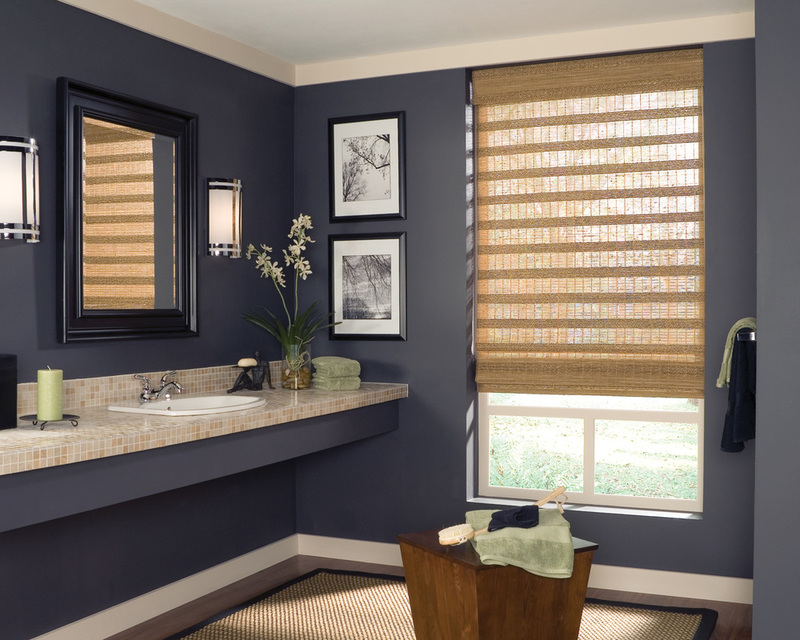 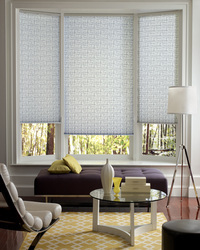 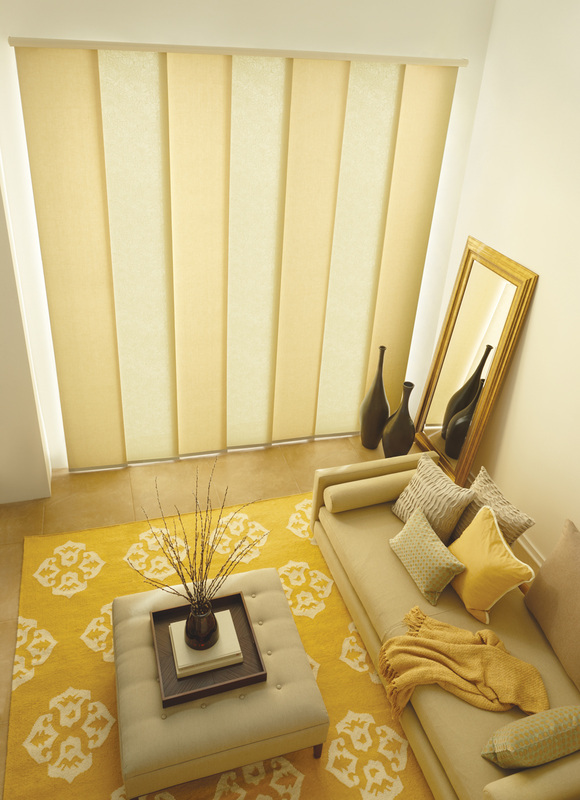 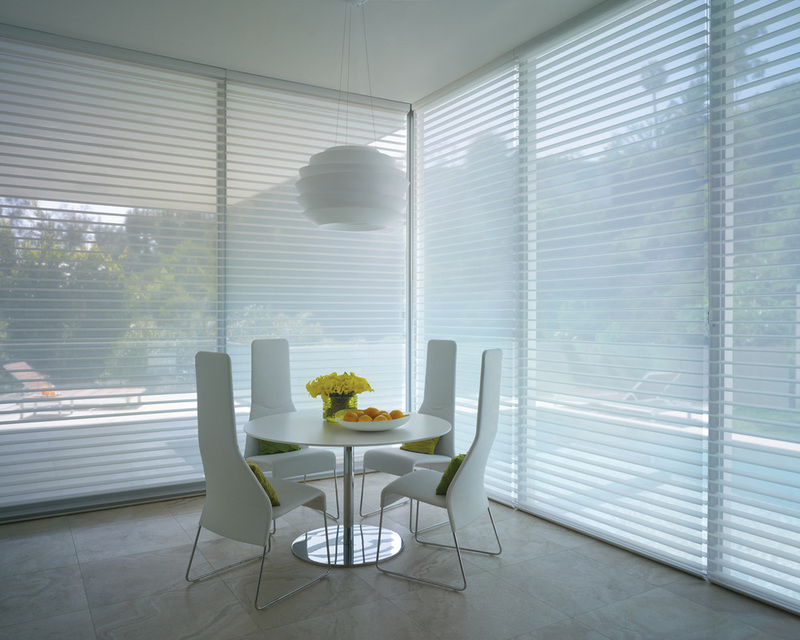 Honeycomb shades are the industry's proven leader in both style and innovation. 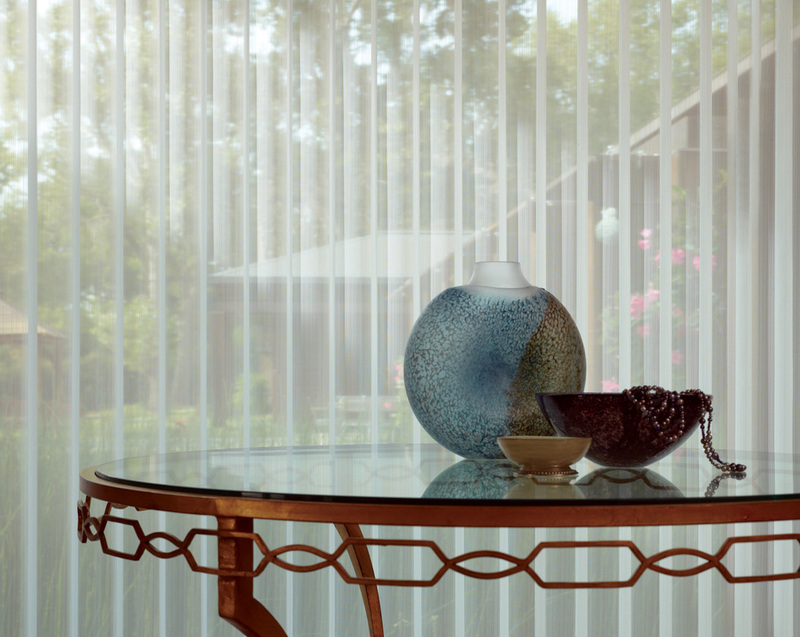 Four different kinds of fabric opacities from sheer to opaque maximize light control and privacy. 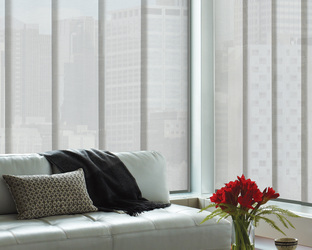 The lifting system will enhance the performance of your shades, just click and walk away from convenient operation. Create harmony in every room with window shading, an innovative product that combines personality of a classic fabric shade with the ability to control light in an entirely new way. 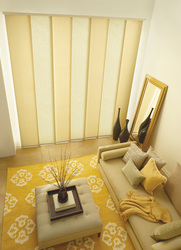 These are available in two different sizes to compliment any window and decorating style. Silhouette window shadings transform the look of a room by changing the harsh quality of exterior light into soft, radiant beauty. 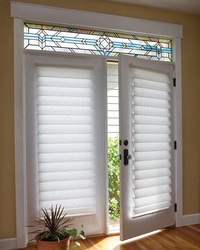 The soft fabric vanes simply tilt to the precise angle desired to assure privacy and control light beautifully. 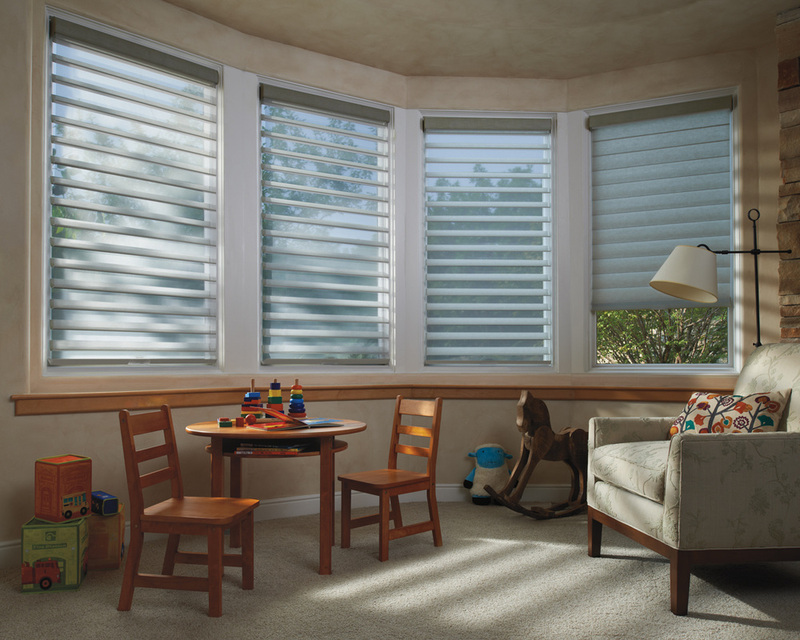 These shadings provide unparalleled protection without compromising view by offering up to 88% ultra-violet light protection with the shadings lowered and the vanes in the open position and up to 99% when the vanes are closed. 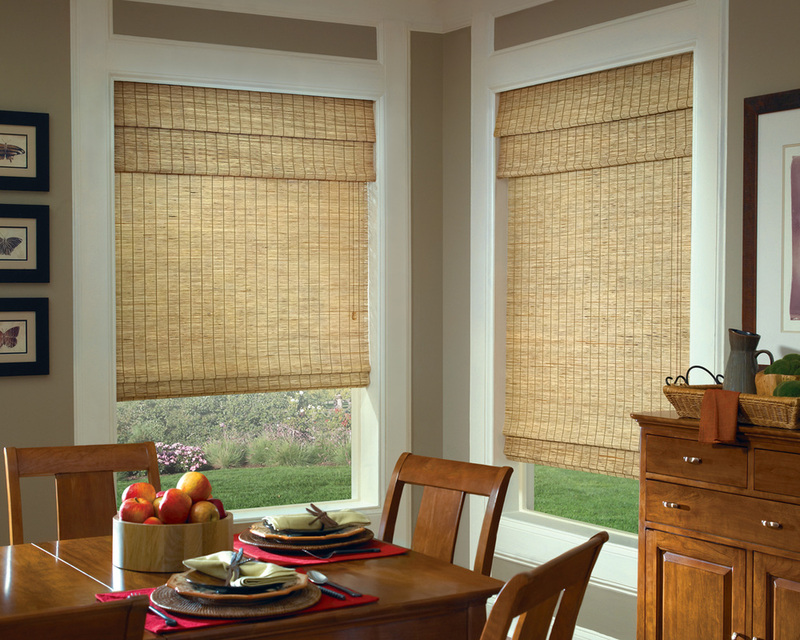 With unmatched selection and craftsmanship, Woven Wood Shades are perfect for today's casual lifestyle. 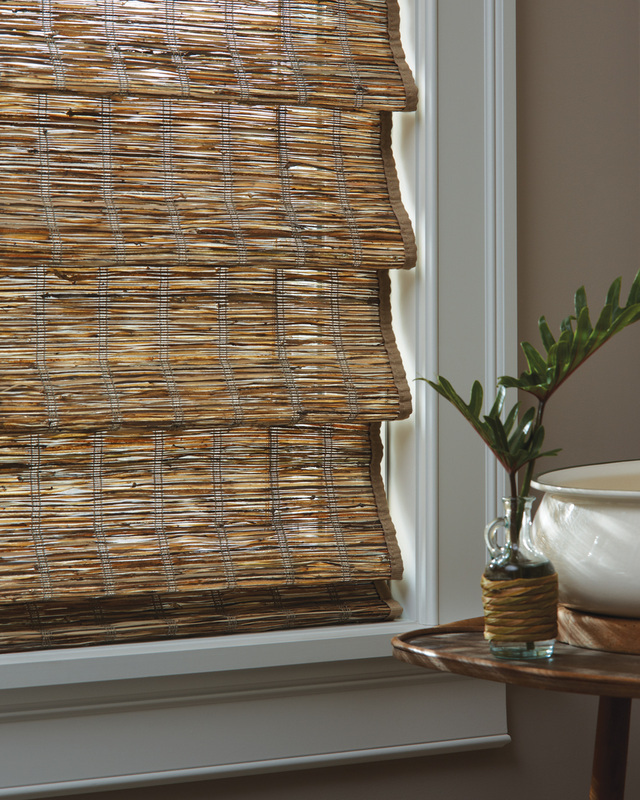 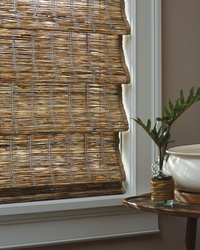 Hand woven from all natural materials, these shades are uniquely textured and incredibly versatile. 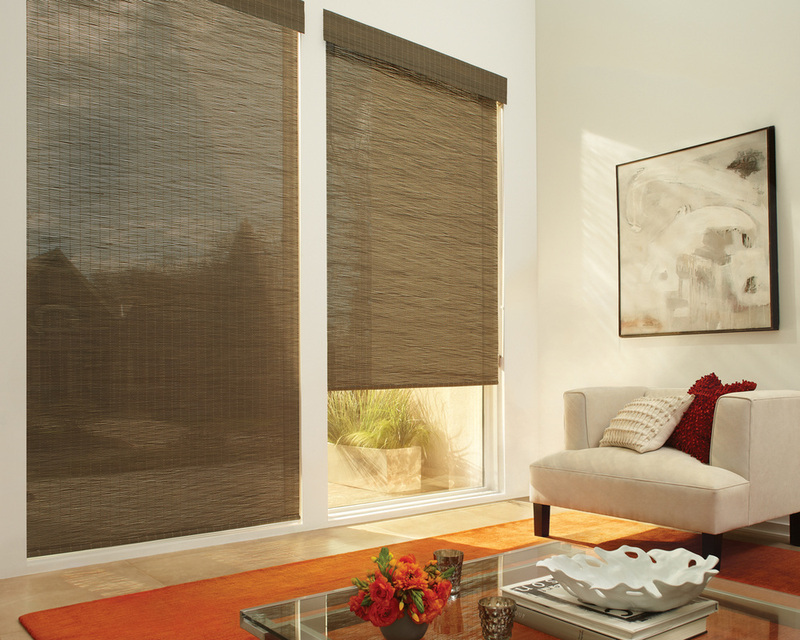 With our newest colors and weaves, you can bring the latest fashion to any room. 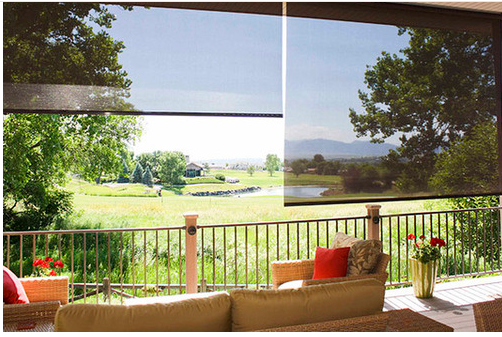 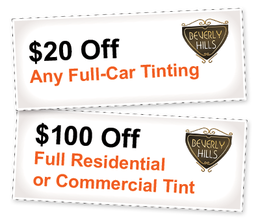 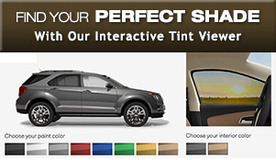 Like all of our shades, outdoor shades provide protection from too much glare and they can also be motorized. 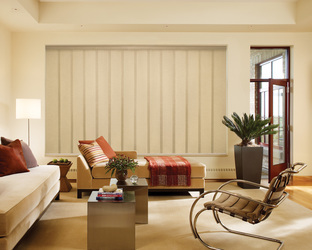 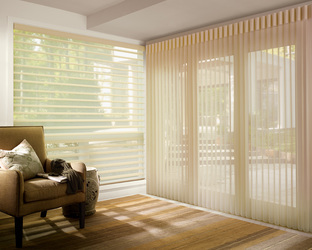 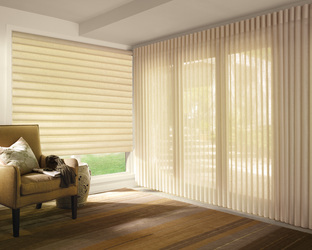 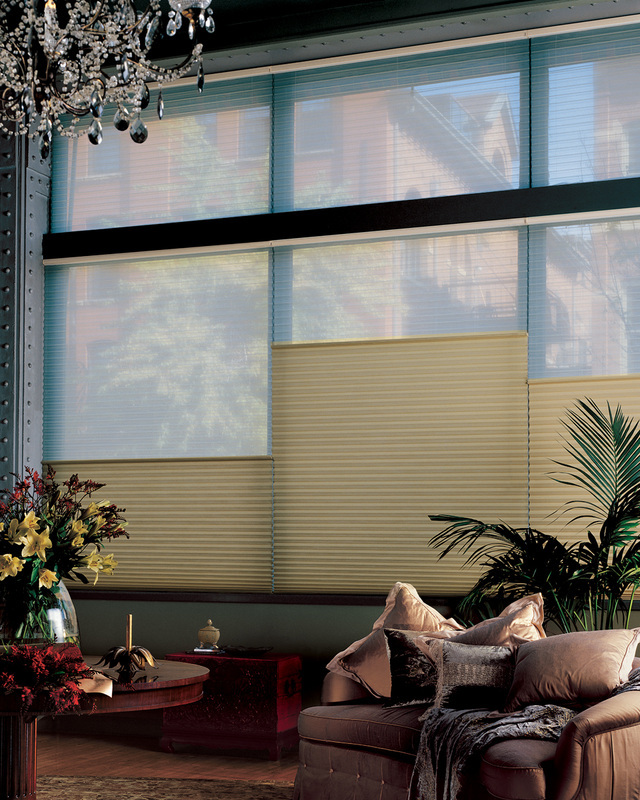 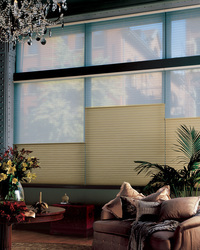 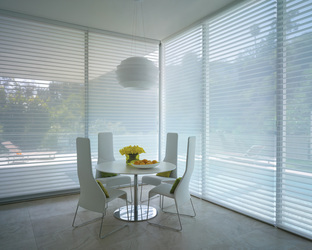 In fact, most of our blinds and shades can be motorized! The graceful folds of privacy sheers recall traditional draperies but with a lighter, softer feel. The fabric vanes attached to sheer facings rotate for the desired amount of light and privacy. 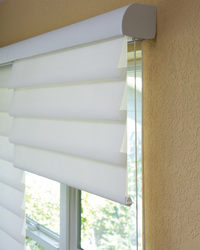 And the innovative, totally hidden headrail system ensures easy, reliable operation. 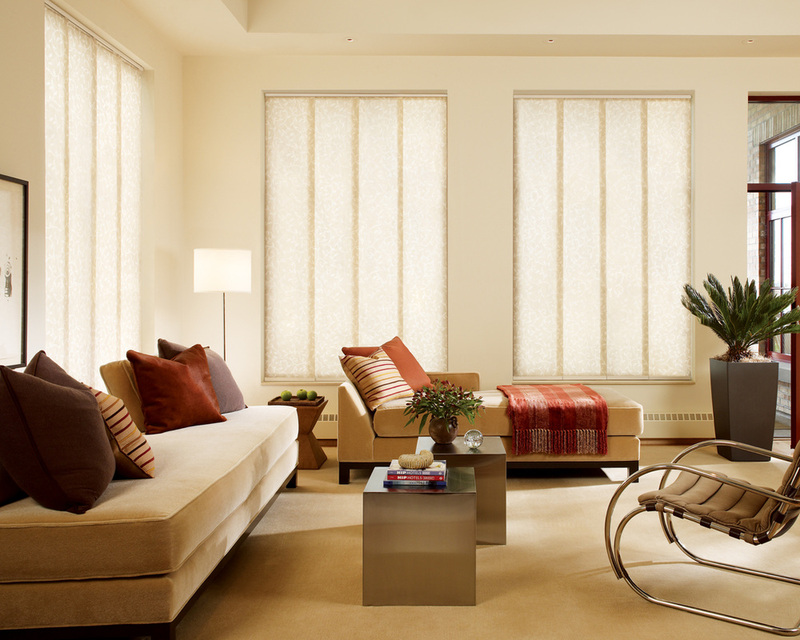 Window Panels are a modern solution for large and small window expanses, window panels provide a clean, sleek and contemporary look designed to maximize any view. 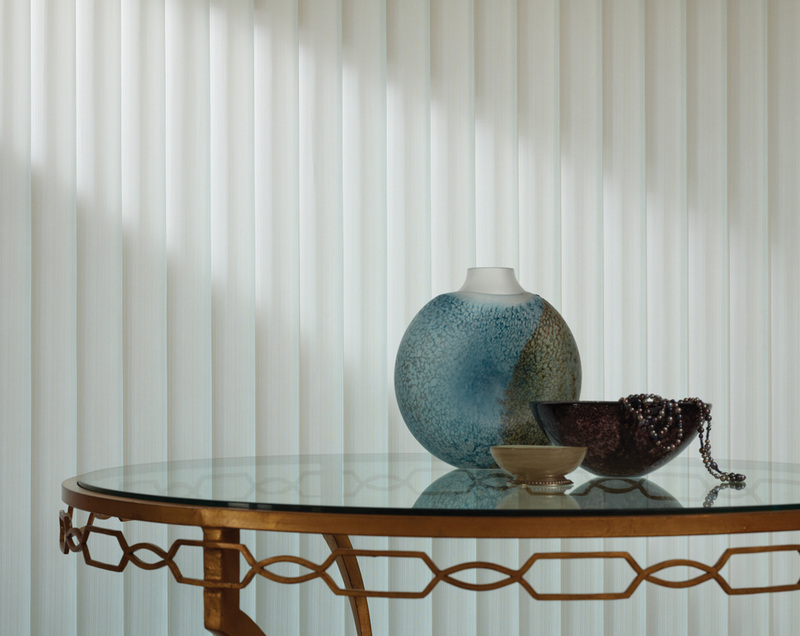 The fashion forward fabric collection is arranged in five different categories: sheer, screen, semi-opaque, opaque, and naturals and woven grass.